The RB-66 reconnaissance aircraft and the B-66 medium bomber were the most advanced of their types in the United States Air Force when introduced in 1954 and 1955. In speed, range and capacity, the B-66 twin-jet with a three man crew met all tactical requirements for delivering the most potent weapons. 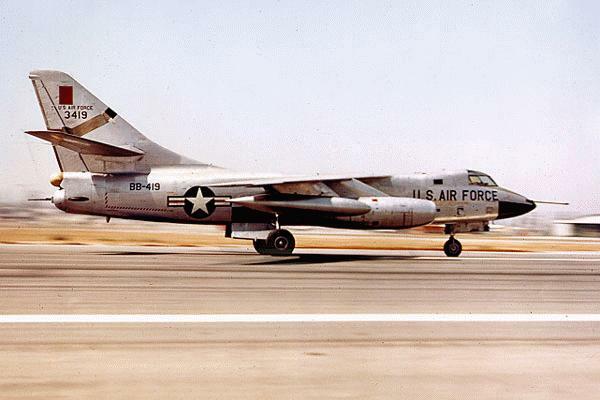 The RB-66 was modified for use in night photo reconnaissance, electronics reconnaissance and weather reconnaissance. 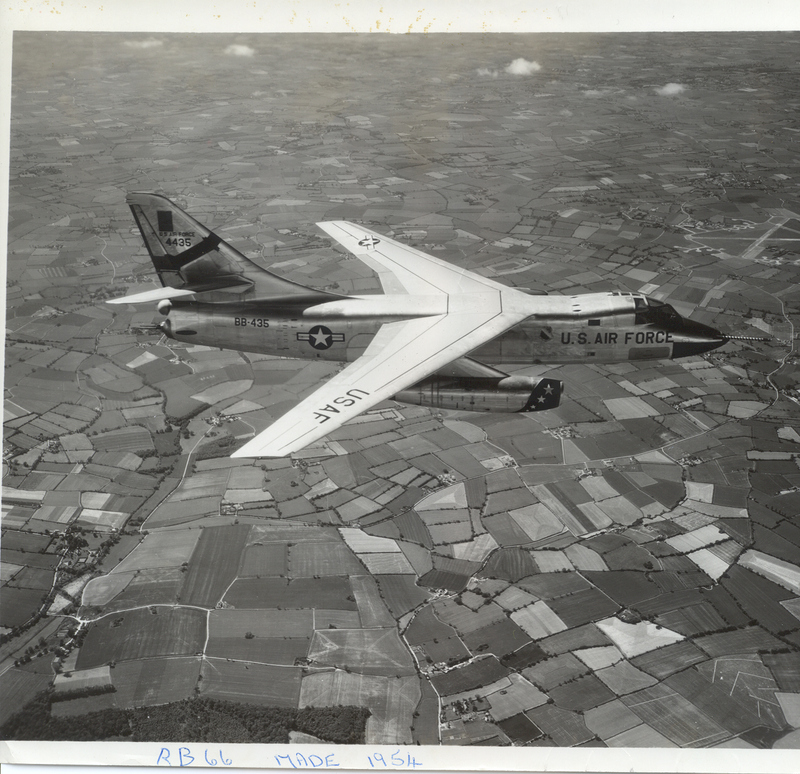 The B-66 "Destroyer" was developed from the Navy A-3D "Skywarrior" for USAF use as a tactical light bomber and photo reconnaissance aircraft, with production ending in 1958. The RB-66B recon version was the first production series and totaled 155 of the 294 B-66 built. 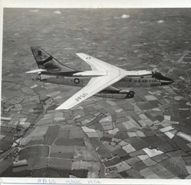 The B-66 was the last tactical bomber built for the USAF, and only the B-66B was designed exclusively as a bomber, others served as tactical recon aircraft while the final version, the WB-66D, was designed for electronic weather reconnaissance. The RB-66B was modified for service in Vietnam having cameras mounted along the bottom of the fuselage and a chaff dispenser replaced the tail gun turret. On 10 March 1964 an American RB-66 was shot down over East Germany.